Pat Metheny is one of the most critically acclaimed, commercially successful, and musically significant artists of the last 50 years. He has not only revolutionized his instrument, but also changed the face of jazz itself. In 2007, composer, arranger, and performer Richard Niles wrote and produced a three-part series of in-depth interviews for the BBC titled Pat Metheny Bright Size Life . 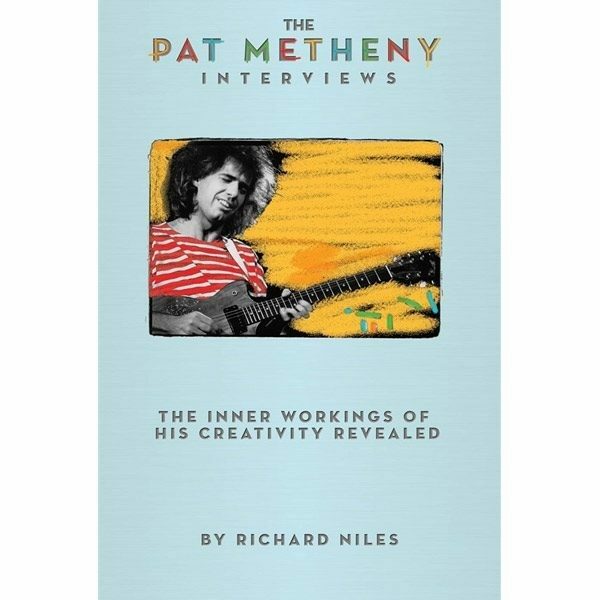 This book is comprised of these never-before-printed interviews and discussions with Metheny, whom Niles has known and worked with since 1974. In this series of intimate, in-depth interviews, Metheny * reveals why he was driven toward music with a stratospheric drive and dedication * uncovers the inner workings of his creative mind, showing step by step how he set and achieved each of his own demanding goals * describes his methodology as a guitarist, improviser, and composer * demonstrates his concepts and methodologies on the guitar. Niles has transcribed these unique musical performances for the book. Some of Metheny's closest colleagues, including Lyle Mays, Gary Burton, Jack DeJohnette, John Patitucci, Metheny's brother Mike, and the late Michael Brecker, have contributed to the book, which also includes numerous photographs and a discography.